What is not to love about onion rings? Fried, salty and the perfect vehicle for a variety of condiments. 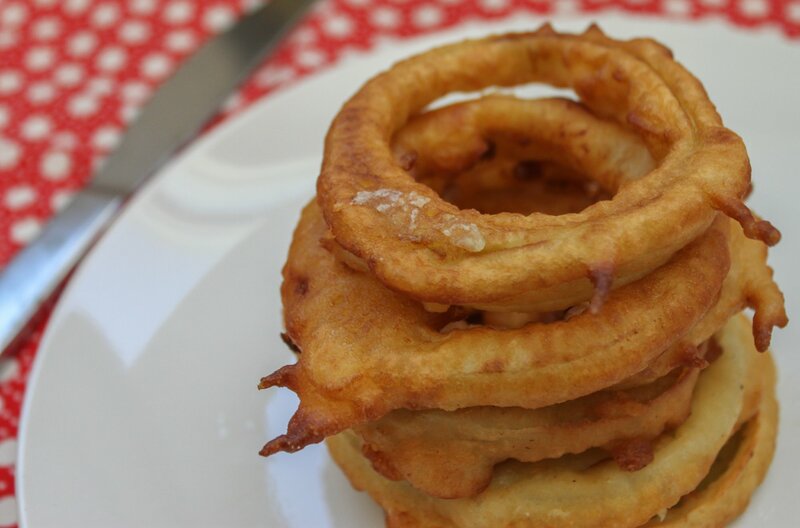 Every time I am enjoying onion rings, I think to myself, what other wonders would be great in this format? Apples are always my first thought. 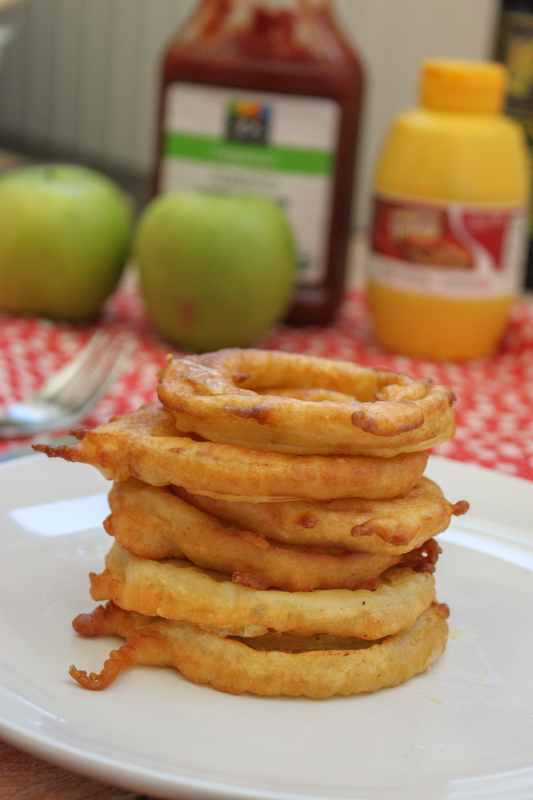 So here you go, fried apple rings for your enjoyment. 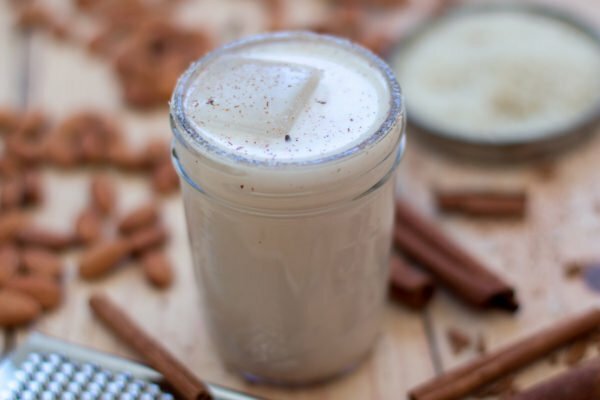 Perfect for your next football gathering or just because! 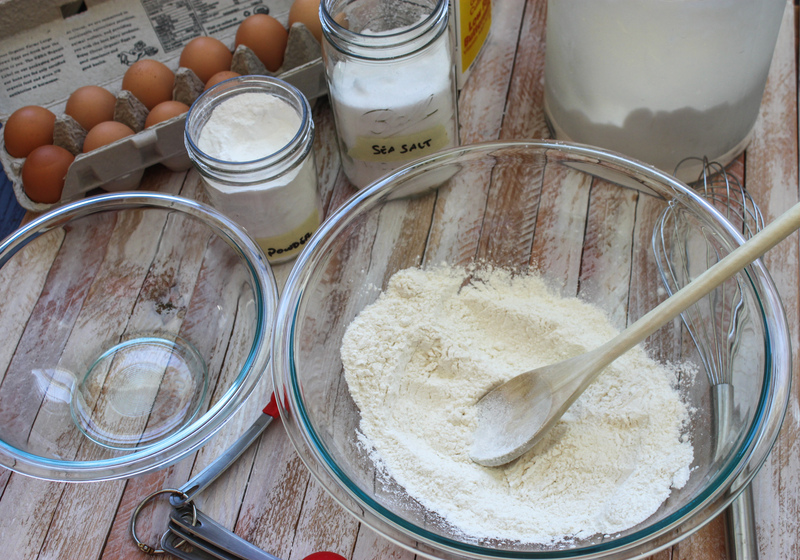 Combine 1 cup of all-purpose flour, 1/4 teaspoon of baking powder and salt. Set aside. 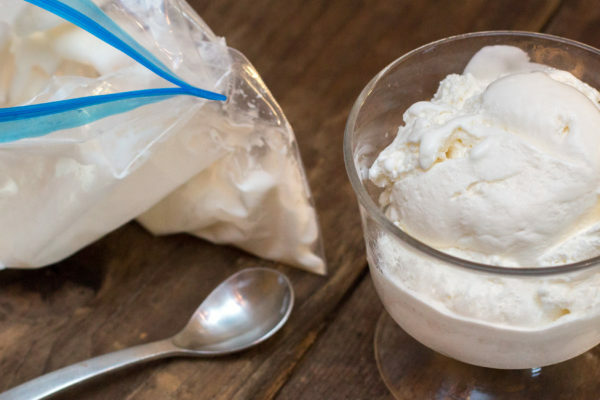 Whisk 1 egg and then whisk in 1 cup of buttermilk. 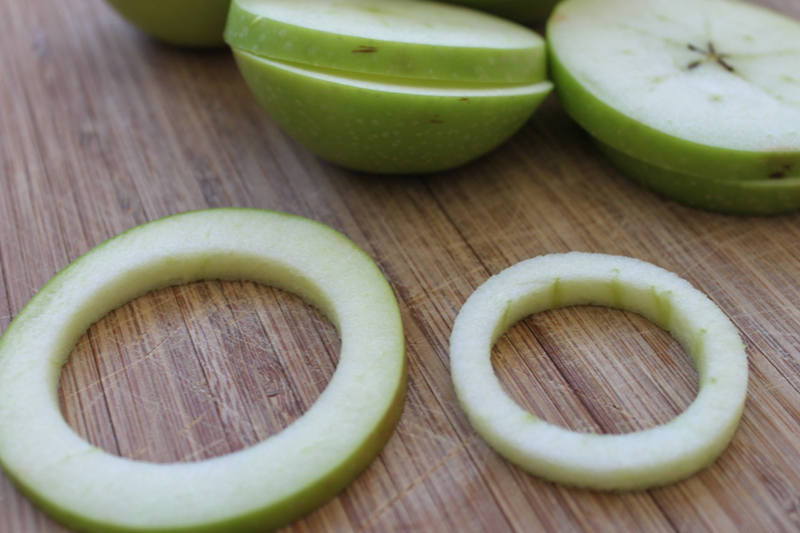 Slice 4 large Granny Smith apples into 1/4 inch thick slices using varying sized biscuit cutters to make "rings" out of the slices, discarding smallest circle containing core. Heat oil to 375 degrees F. (Caution: Do not let the oil get too hot or your rings will burn quickly. If rings are cooking too quickly, lower the heat of the oil a bit.) Combine the liquid and dry ingredients while the oil heats up. 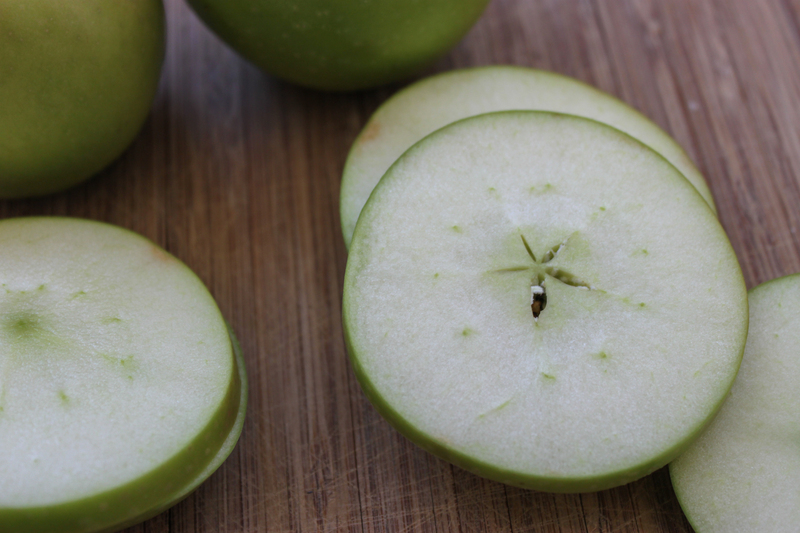 Dip apple rings into batter, removing any excess. A little is okay, it gives them a nice swirly look. 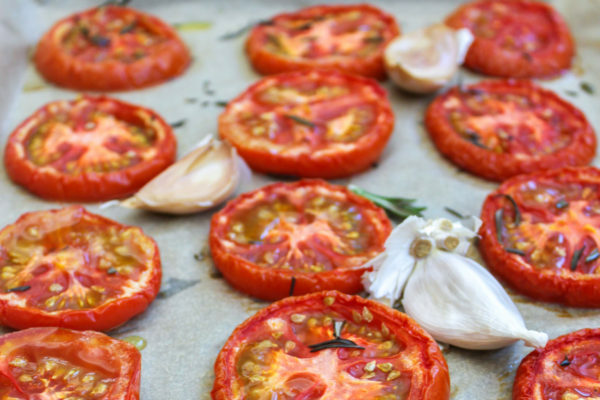 Cook in oil in small batches, turning frequently to monitor browning. 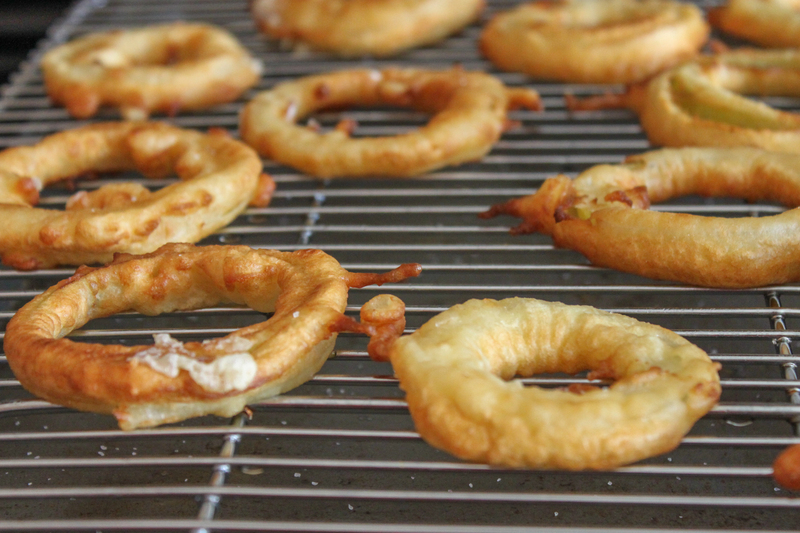 When the rings are golden brown, remove to a wire rack and sprinkle with sea salt.Enjoy!